The leadership of Armenia and the Gazprom Armenia company for two months did not agree on the issue of gas prices. Gazprom Armenia issued a statement announcing an increase in gas prices at the border on December 31, 2018. It was noted that the company will continue to work with the relevant state bodies of the Armenian government on the structure of domestic gas tariffs. Earlier, Deputy Director General of Gazprom Armenia Vakhtang Mirumyan, said that the preliminary terms of the discussions had been determined - about two months from the date of the company's announcement. After the specified time, Sputnik Armenia sent a request to the company to clarify whether any agreements were reached. As it turned out, there are no results yet. "Considering the need to conduct narrowly specialized studies arising from changes in the price of natural gas supplied to Armenia, working discussions are ongoing in order to make decisions about the size of the tariff margin in the structure of natural gas sold to consumers," a statement said. Consultations are held between the relevant experts of the government authorized body in the field of energy, the commission for regulating public services and the company Gazprom Armenia. Gazprom Armenia, a 100 percent subsidiary of Gazprom, distributes gas within Armenia. While the price of Russian gas for Armenia was relatively high, representatives of the Armenian subsidiary of Russian Gazprom explained this high price by the fact that the country consumes little gas, so there is such an imbalance. If factories and plants consuming a lot of gas worked in Armenia, then the price would, respectively, decrease. So, when the main consumer is only the private sector, which heats its houses in a cold winter, less gas is spent, and the price, respectively, is higher. At the end of December 2018, it became known that the Russian company Gazprom raised the price of gas supplied to Armenia by 10 percent from $150 to $165. The authorities of Armenia, in order not to spoil the pre-Christmas mood of the Armenian society, announced that gas will not be more expensive for consumers, and the difference will be compensated by reducing the costs of Gazprom Armenia. 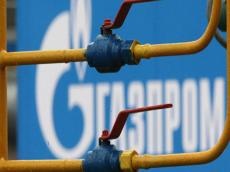 The source of the Armenian edition said that Gazprom Armenia is not going to take the burden of the price increase, and even negotiations were not held on this issue with the company. “Thus, the debt of $15 million is accumulating, and since Gazprom Armenia is 100 percent Russian property, it remains only to speculate that Armenia this time will give Russia to pay off its debt. Most likely, it will be more probably Yerevan Thermal Power Plant," the newspaper writes.